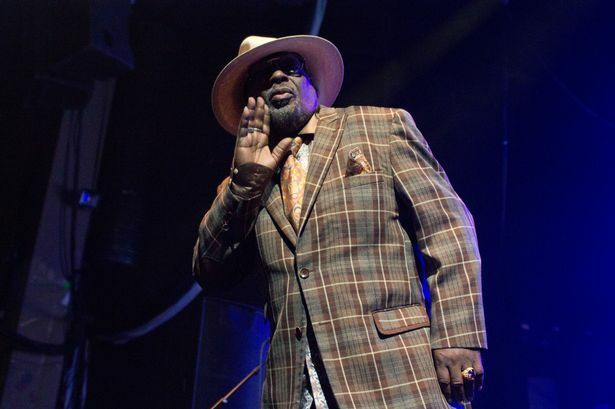 George Clinton, doyen of funk, captain of the Mothership, needs no introduction, but just for reference: His catalogue spans six decades and more than 30 albums, encompassing his legendary bands Parliament and Funkadelic, as well as his solo work. His music has been sampled by everyone from Sleigh Bells to Snoop Dogg. He’s on the new Kendrick Lamar album. A replica of his preferred mode of transportation, the Mothership — a cartoonishly elaborate silver spaceship from which he would descend during P-Funk live shows in the 1970s — is now housed in the National Museum of African American History. The sound he perfected, and largely invented, combined Jimi Hendrix, doo-wop, soul, and rhythm and blues to create something entirely unique, and almost impossibly funky. Put simply, Clinton is one of the most important artists of our time. I spoke with him in advance of an upcoming appearance at the Brooklyn Museum, where the head funkateer will talk about his life and career as part of the Red Bull Music Academy Festival New York. At 73, Clinton is sharp as a whistle, right down to the tailored suits he now prefers over the technicolor hair extensions and cosmic costumes he once wore. He reemerged last year after a dormant period with both a new record, first ya gotta Shake the Gate, and a memoir, Brothas Be, Yo Like George, Ain't That Funkin' Kinda Hard on You? He re-aired a very important, all-too-familiar complaint: He wants back the rights to his music. Close encounters and lawsuits, though, are ancillary to what Clinton knows best: music. “Let the people entertain themselves,” he says of his ideal live show. “Let them become a part of it. Once they feel loose, they make the environment what they want it to be, and that makes the band play better because you feed off of that energy.” Once that energy starts to flow, he says, "it's one groove" — and it's unstoppable.